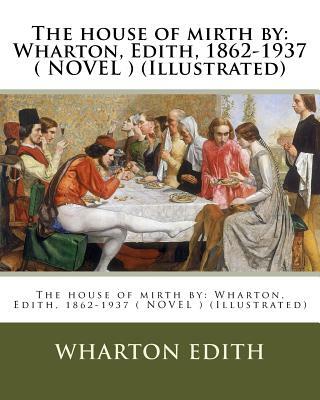 The House of Mirth (1905), a novel by Edith Wharton (1862-1937), tells the story of Lily Bart, a well-born but impoverished woman belonging to New York City's high society around the turn of the last century. a] Wharton creates a portrait of a stunning beauty who, though raised and educated to marry well both socially and economically, is reaching her 29th year, an age when her youthful blush is drawing to a close and her marital prospects are becoming ever more limited. The House of Mirth traces Lily's slow two-year social descent from privilege to a tragically lonely existence on the margins of society. Wharton uses Lily as an attack on "an irresponsible, grasping and morally corrupt upper class." (309-310) Before publication as a book on October 14, 1905, The House of Mirth was serialized in Scribner's Magazine beginning in January 1905. It attracted a readership among housewives and businessmen alike. Charles Scribner wrote Edith in November 1905 that the novel was showing "the most rapid sale of any book ever published by Scribner.